KEF calls the Q400 subwoofer seductive and rightly so. With sub capabilities that range from subtle and smooth-tongued to outright physical, the Q400 is all over your air waves for intensely realistic 3D imaging. Despite its stated low frequency response is 28Hz at +/- 3db, it doesn't reach that deep. That's far from the worst part. The worst part is that it sound pressure really struggle to travel far at all. I was in a solid brick basement room without a lot of sound absorbing materials. It had large rug in the middle, a sofa and curtains on the back wall. Expected the waves to travel and bounce back on walls. The drop off was so significant to the extend little was reflected back / heard. Another thing is that the volume did not appear to go up linearly. I had the volume maxed out quite a few times and I wasn't listening at high volumes. In fact, I frequently lowered the volume in the main system, the volume set by the salesman to get the sound level to just fill the room and less. After all, that's the volume I listen to at home. At times, the Q400B was booming and other times it was soft. I did play with frequently threshold as well as compare it with another subwoofer on the same material. So it is not the material but definitely the KEF and my poor calibration skills. Lastly, I am also surprised by the lack of bass on the KEF floodstanding speakers. Sorry I don't know if they were Q550, Q750 or Q950. I didn't bother to find out, shocked by their performance. After all, they are 2.5 way speakers with 5 drivers which includes 2 passive drivers (ABRs). Would have expected more bass from them. No wonder small Q400B is the subwoofer for them. 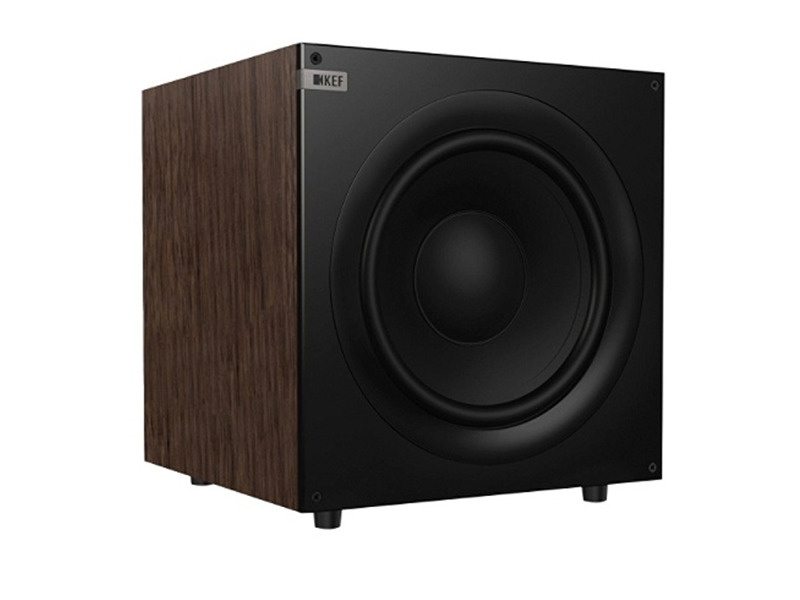 It actually played much better with another subwoofer - a 12" 300W subwoofer. The Q400B has 200W amp. On the other subwoofer, I never dialed it above 10 o'clock Imagine the difference. BTW, I did add 12db using the EQ button. Anyway, I guess it would do ok in a small room like a bedroom. Otherwise, you want to think about having two of them or look else where.